The 2016 NBA Finals have been billed for four days as LeBron vs. Curry. It’s a match up between the face of the NBA’s last decade and the face of the NBA’s 2015-16 season. It pits a generational talent and arguably top 3 all-time player against Jump Shot Jesus, a player who has altered the landscape of the League and made basketball unfair. Game 1 did not go according to script. Steph Curry has baffled opposing coaches all season long with his shooting range. He can make such a high percentage of three point shots from such range off-the-dribble that he is essentially unguardable. Even when teams have done a decent job keeping him contained for prolonged stretches, no one has ever been better at draining a few quick threes to nullify two quarters-worth of good defensive work. Last night’s game felt like it was going to be another one of those occasions. The Cavaliers did a good job all night against Steph Curry. LeBron spent most of the night in man-to-man defense against Steph as soon as he stepped across the half court line, but one could sense the impending outburst. The unanimous MVP would find the tiniest sliver of breathing room on the court and assert his will on the game. 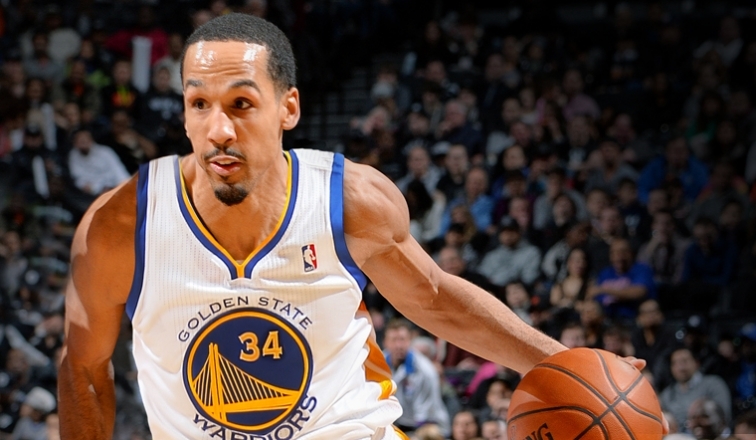 Sure enough, that outburst came … from Shaun Livingston. Livingston and a Warriors’ bench unit featuring Leandro Barbosa, Andre Iguodala, and Festus Ezeli put the game away in the second half . In contrast to the Thunder, the Cavs have spent all of the last two seasons trying to figure out how to maximize their own Big 3 of Kyrie Irving, LeBron, and Kevin Love. The lineup they have settled on is a super small lineup featuring Kyrie, J.R. Smith, LeBron, Love, and Tristan Thompson. That lineup can light up the scoreboard against anybody, but it’s also a lineup that features three minus defenders in Kyrie, Smith, and Love. Golden State’s super small lineup, on the other hand, features five capable three point shooters that can also unleash offensive death and there is nary a minus defender to be found. Add to that an infinitely superior bench unit that proved itself more than capable of shouldering the load last evening, and this looks very problematic for the Cavs. When both Golden State and Cleveland are playing most to their strengths, they play similarly constructed lineups and a similar basketball aesthetic. The problem for Cleveland is that Golden State is just much better at it. Cleveland’s offense is going to go off at least once in this series and it should be enough to get a win or two. But last night was as bad a game from Curry and Thompson as the Cavs are likely to get and they still got played out of the building. Cleveland Head Coach and LeBron James Mouthpiece Tyronn Lue faces a tough decision – take LeBron off of Curry and run the risk that he’ll go bananas, or continue to leave the rest of your defense to its own devices against Golden State’s unparalleled supporting cast. Watching LeBron, still as good a man-up defender as there is in the world, defend Steph Curry for the remainder of this series is going to be a treat. LeBron will undoubtedly give Steph a hard time throughout. But, it may all come to nothing. If last night is any indication, the two names at the top of the NBA Finals’ card could be a footnote when all is said and done.